The DPL FlexPad is a class two OTC medical device that has been cleared by the FDA for use since 2008. 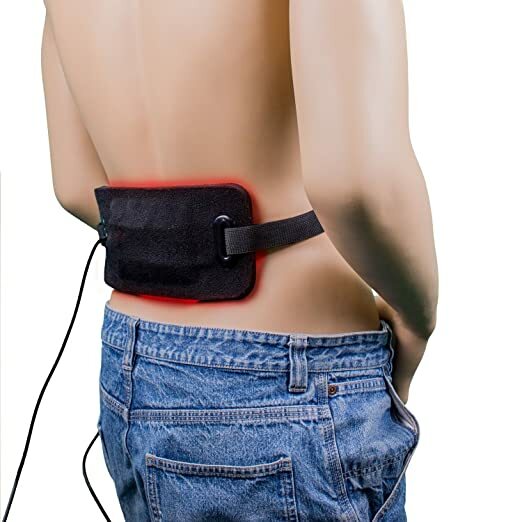 Being relatively small and lightweight, this device is perfect for anyone who has pain over a large portion of their body. The FlexPad treats an 8” x 5” area at one time, and the treatments last 20 minutes each. The FlexPad can also be used several times each day, so it is ideal for athletes or anyone who suffers from frequent soreness or pain. The price, however, is less than enthusiastic, as it will set you back a cool $199.00. 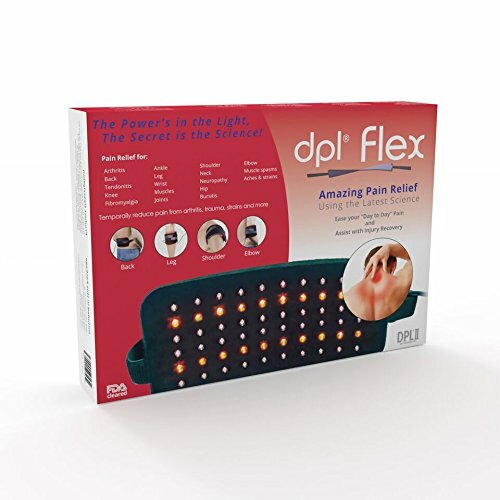 FAST AND EASY: The treatment time with DPL Flex Pad is only 15-25 minutes long! This device can be used multiple times per day, and it is safe for all skin types. Feel better in just 20 minutes! 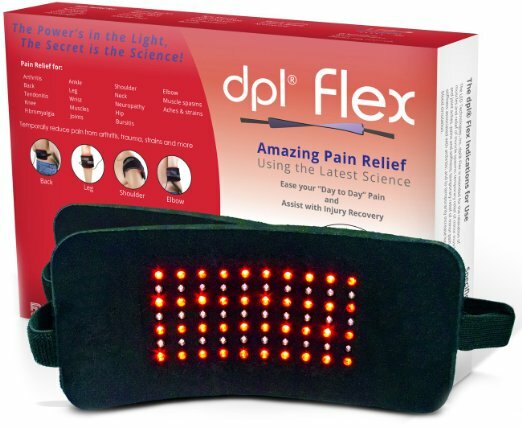 SAFE & NATURAL PAIN TREATMENT: DPL Flex Pad offers a completely natural and safe treatment of muscles pain and Arthritis. 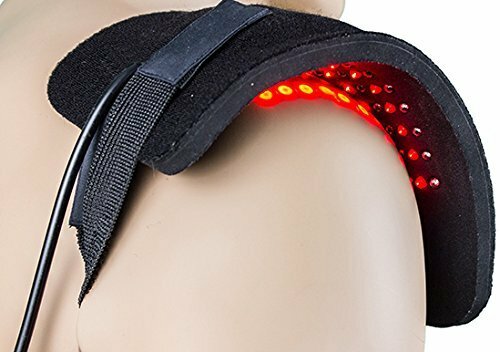 The 60 Medical Grade LEDs installed into DPL Flex Pad, generate an intense light that penetrates deep into joints and soft tissue for an all-natural and drug-free relief. The manufacturer does not provide any information about how long they have been in business, but we do know that the DPL FlexPad, in particular, has been on the market since 2008. We were not able to find a location for the manufacturer either but can see that it is manufactured in China. We did, however, find the number of their active customer service line. According to reviews, the customer service representatives are friendly and knowledgeable about their products. The line can be reached at 1-800-337-9565. The DPL FlexPad has a simple, yet professional looking design. 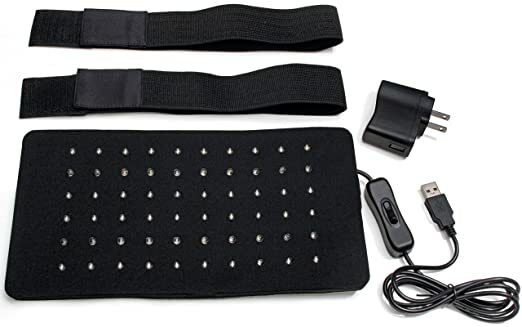 The 60 LED lights are mounted onto a flexible circuit board which is then inserted into a comfortable, neoprene pad. The device is lightweight and small enough for the user to place into a duffel bag for use after the gym or into a purse for use during a road trip. The lights are not harmful to the human eye, so additional safety goggles are not required to operate it. The FlexPad requires very little setup out of the box. Once you have removed it from the packaging, simply attach the included USB cord into the wall adapter or the USB adapter in your vehicle. If needed, place the optional Velcro straps onto the back of the pad, and place onto the area of pain. A red light will come on, and this will signal the device is working. Keep it on for twenty minutes to ensure maximum pain relief. There are 60 medical grade LED lights, 40 of which are 880 nanometers and 20 that are 660 nanometers. This sounds confusing, but the numbers basically just represent the wavelengths that the lights emit when on. The larger the wavelength, the deeper the light penetrates the skin, thus producing more pain relief. In regards to the FlexPad, the lights can effectively treat pain deep into the tissues of the skin, whereas other lights with lower wavelengths can only treat pain that is located on or just underneath the skin’s surface. The device can be plugged into either the wall using the included adapter or into a USB adapter for your vehicle. Since it does not run on batteries, you don’t need to worry about running out of power or buying expensive replacement batteries. You will, however, be required to keep the device plugged in in order to use it. The adapter is a standard 100v-240v, so it can be replaced if ever lost or broken, and it can be plugged into almost any outlet in the world. Being relatively simple, the device is equipped with only an on/off switch. There are no other controls or automatic timers, so it will always have to be shut off manually by the user. 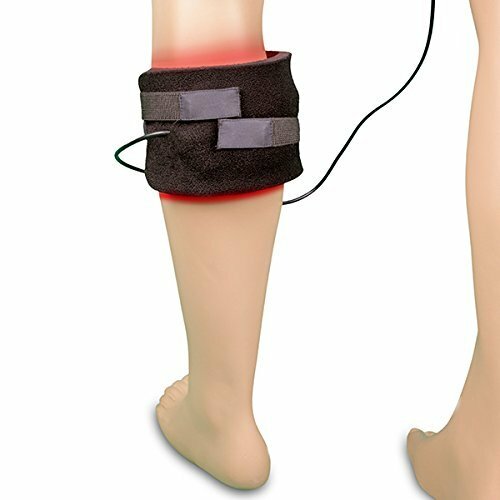 Both red and infrared lights are used, providing deeper pain relief at a depth of up to two inches into the skin. Many users have reported that only two rows of lights are visibly “on” at all times, but this is because infrared lights are invisible to the human eye. While this may cause some to wonder if the device arrived broken, it is perfectly normal, and the lights should work as expected. Currently, the device sells for $199.00. User reports have stated that while effective, the price of the FlexPad should be considerably lower. The manufacturer does include a 60-day money back guarantee and a one year warranty, so at least you can feel secure knowing that if you are unhappy, you can always get your money back.